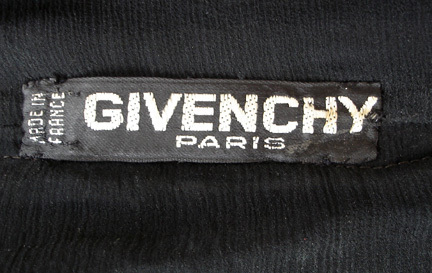 Perhaps one of the most exquisite and lavish couture creations by Hubert Givenchy, circa 1958. 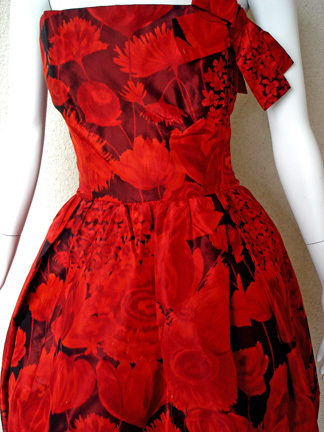 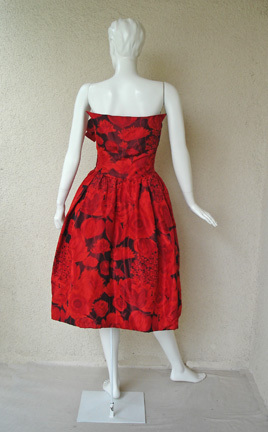 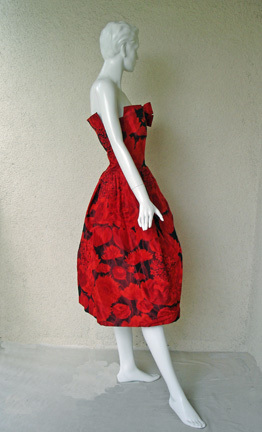 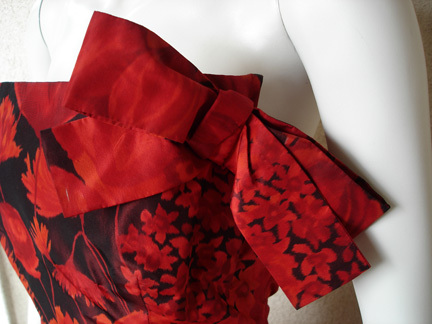 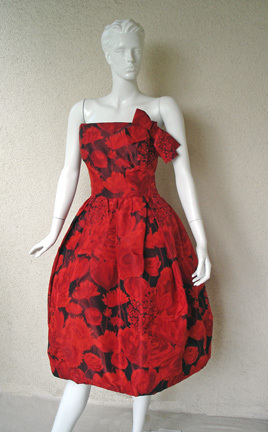 Fashioned in a large floral print of chili red on a black ground of silk taffeta. 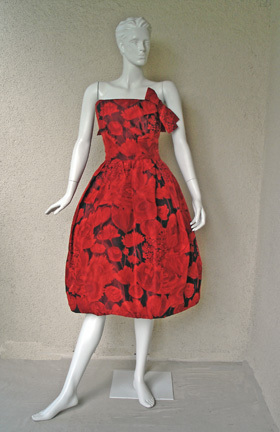 Elegantly and smartly designed with clean sculptural lines and single bow adornment and very derivative of his long close collaborative friendship with mentor Cristobal Balenciaga. 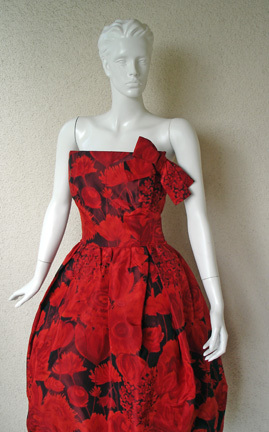 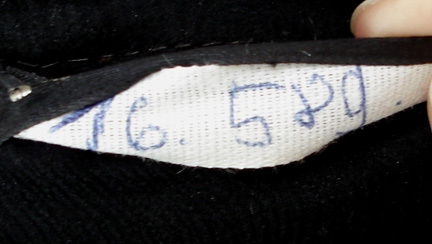 Bust: to 34"; waist; 28"; length: 39"